This is a compilation of tools and packages I have developed. Feel free to use them. If you have any questions or suggestions, feel free to submit a pull request on Github or send me an email! Cookiecutter - Data Science - For structuring your project! An easy, reasonably standarized, but flexible template for creating papers for the Monthly Notices of the Royal Astronomical society journal. With the help of the cookiecutter command-line utility, one can create the skeleton of a MNRAS journal paper without that much hassle. ⇒ For more information on how to use this tool, you can check the video, or go to the main documentation. Another easy, reasonably standarized, but flexible template for creating the skeleton for the Vanderbilt Ph.D. Thesis template. With the help of cookiecutter, one can easily create the skeleton for the Thesis without much of a hassle. After answering some questions by cookiecutter, you will have a working version of the Ph.D. thesis. ⇒ For a full list of all of the functions in this package, make sure you visit the online Documentation! 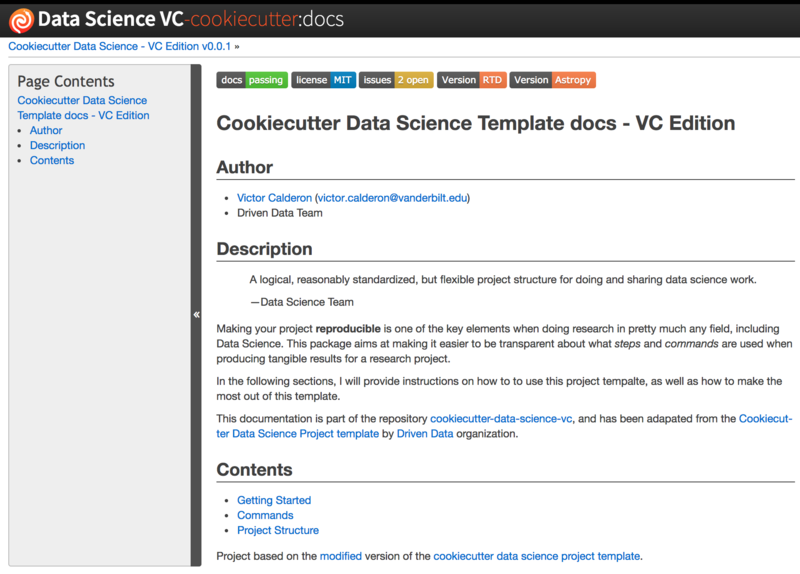 This is a modified version of the "Cookiecutter Data Science" project template, which tries to create a consistent, well-structure project, suitable for Data Science. I have modified this structure, and adjusted to what I think a project should always have. 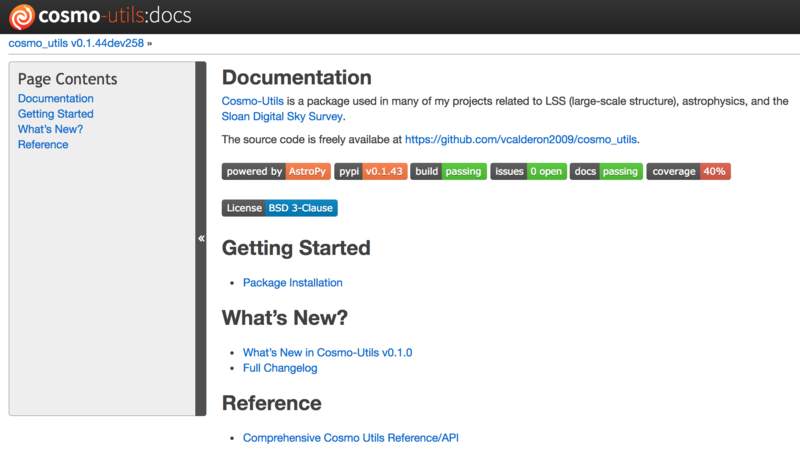 This package comes with options for creating an Anaconda environments, useful Mafefile commands, and capabilities for adding the project to Github via version control. ⇒ For more information on how to use this template make sure you visit the online Documentation.